Just toss up a quick salad and toast some multi grain bread slices to enjoy a super nutritious dinner meal on a hectic weekday! Preheat the oven to 200 degrees C and line a baking tray with the aluminum foil. 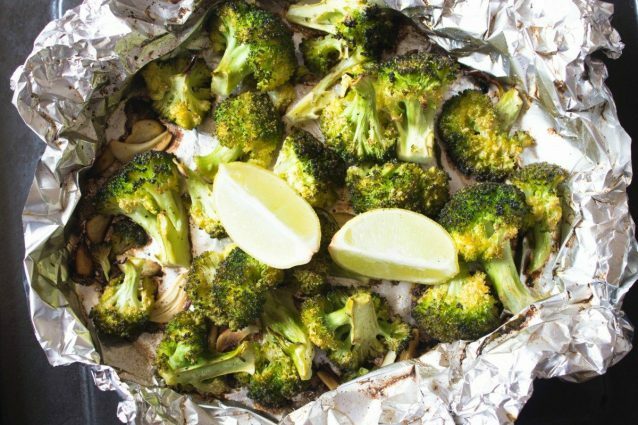 Place the broccoli florets on the aluminum foil. Sprinkle the garlic slices over the broccoli. Drizzle the olive oil evenly over the vegetables. Season the vegetables with salt and black pepper powder. 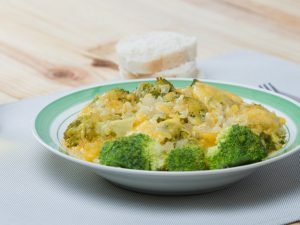 Finally, drizzle the lemon juice over the vegetables and mix everything well until the broccoli florets are evenly coated with the oil and lemon juice. Now, turn the outside and outer edges of the aluminum foil towards the vegetables so that you end up creating a boat of the foil with the vegetables sitting inside the foil pack. Lift the edges of the foil to give a little height to the foil shell or pack. This will help to keep the oil and lemon juice stay inside the foil pack and not drip off outside the foil pack. Transfer the baking tray with the vegetables wrapped in aluminum foil in to the preheated oven and bake at 160 degrees C for 15 minutes. 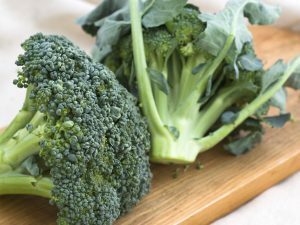 Take out the roasted broccoli pack and serve it as it is with a couple of lemon wedges. Enjoy hot! Add a dollop of butter and serve the roasted vegetables with lemon wedges. The taste will leverage to next level! 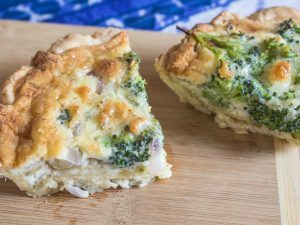 You may also add stem of broccoli cut in to an even size and not throw them. The stems will be just a tad bit bite able than the broccoli florets. If you like your vegetables with more bite then bake the vegetables in the oven for only 10 to 12 minutes. And, you must taste the broccoli before you squeeze in more lemon juice as the vegetables are anyways tangy enough to be enjoyed as such. 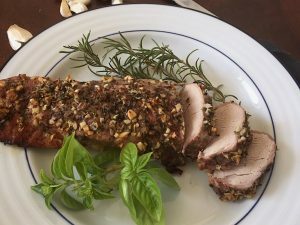 Broccoli and Cheese Stuffed Chicken Breast: easy, quick and tasty!